Cardioid dynamic vocal microphone delivers excellent sound for lead and backup vocal performance. The term handheld microphone generally means any microphone that's supposed to be held in the hand while picking up sound. Handheld microphones are used in a huge variety of settings, from musical performances to television interviews. A cardioid microphone has the most sensitivity at the front and is least sensitive at the back. This isolates it from unwanted ambient sound and gives much more resistance to feedback than omnidirectional microphones. This makes a cardioid microphone particularly suitable for loud stages. To capture sound, dynamic microphones use a diaphragm, a voice coil and a magnet. The rear of the diaphragm is attached to the voice coil, which is surrounded by a magnetic field. The sound picked up by the diaphragm moves the voice coil in this magnetic field and generates the electrical signal; an electrical representation of the picked up sound. They can handle extremely high sound pressure levels and are largely unaffected by extreme temperatures or humidity. Cardioid dynamic vocal microphone delivers excellent sound for lead and backup vocal performance. The product includes a stand adapter, an on and off switch, and rejection of unwanted noise due to the cardioid pattern. 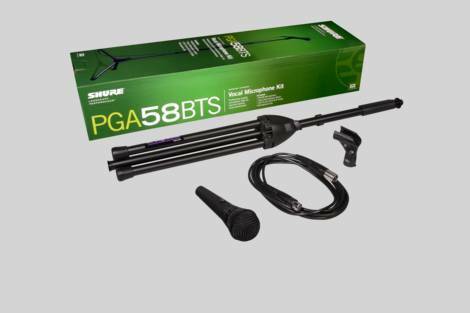 The PGA58 is a professional quality vocal microphone with an updated design that features a black metallic finish and grille offering an unobtrusive visual presence. 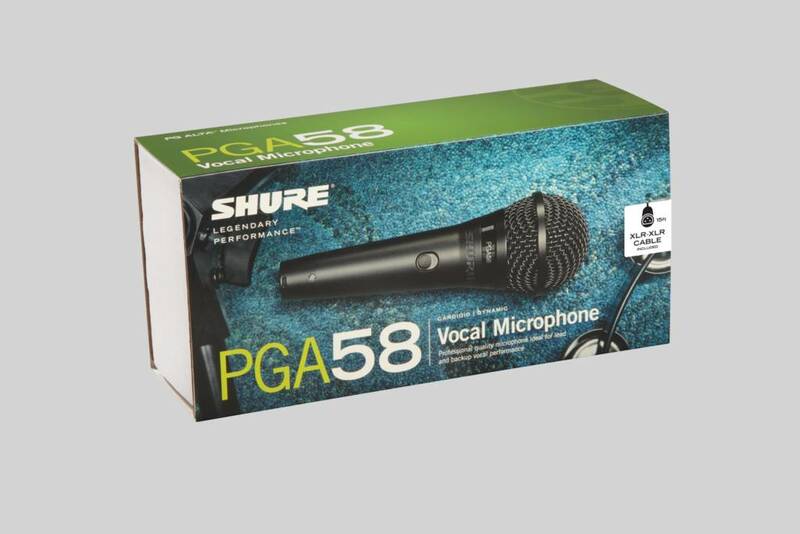 Ideal for use in lead and backup vocal performance applications. 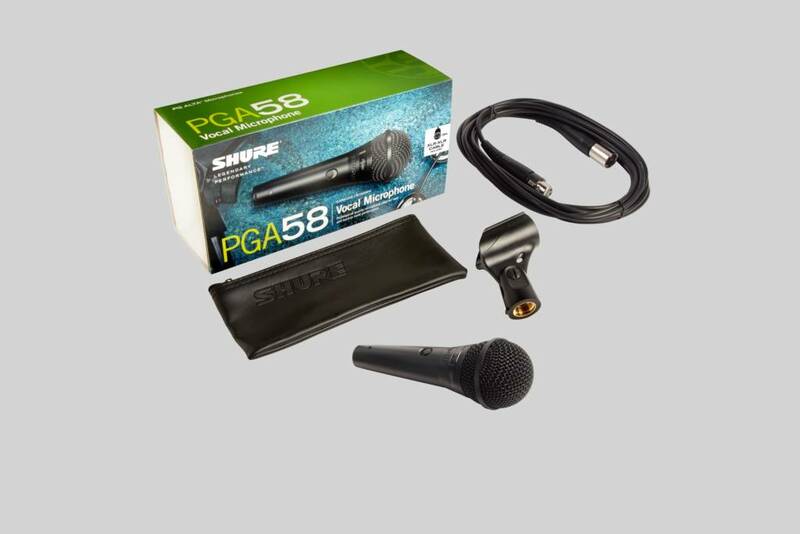 The PG58 is the wireless version of the PGA58 and is available in different wireless systems. How do I connect this mic to my computer? You’ll need a special soundcard that features XLR inputs or an audio interface such as the MVi or X2U. These devices allow you to bypass the computers soundcard and connect a professional microphone to your computer via USB. As they are plug and play devices you don’t need any additional drivers. Note that the MVi can also be used to make a connection to iDevices like iPads. How does it differ to the PG58? The PGA58 has a new look and switch. How does it differ to the PGA57? The PGA58 is designed for speech and vocal applications whereas the PGA57 is specifically designed to meet instrument applications. 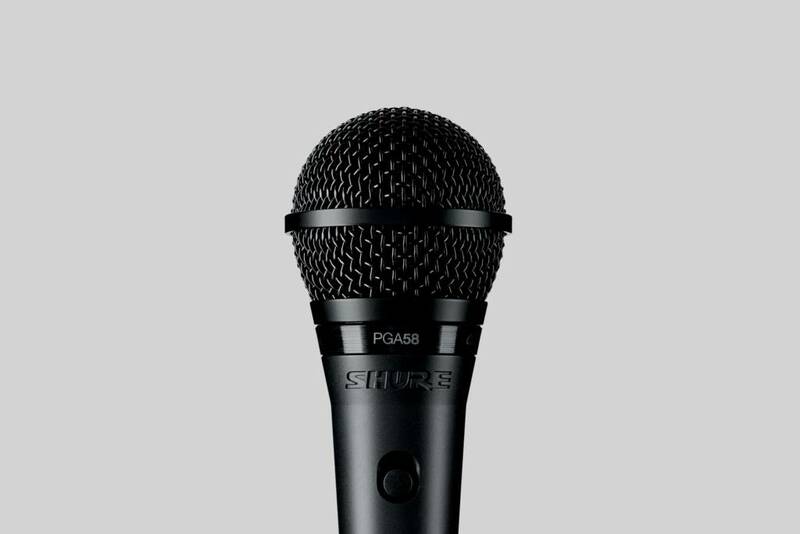 How does it differ to the SM58? The performance of the SM series is better, when comparing frequency response, polar response, handling noise, transient response, etc. They both pass the same drop and environmental tests.